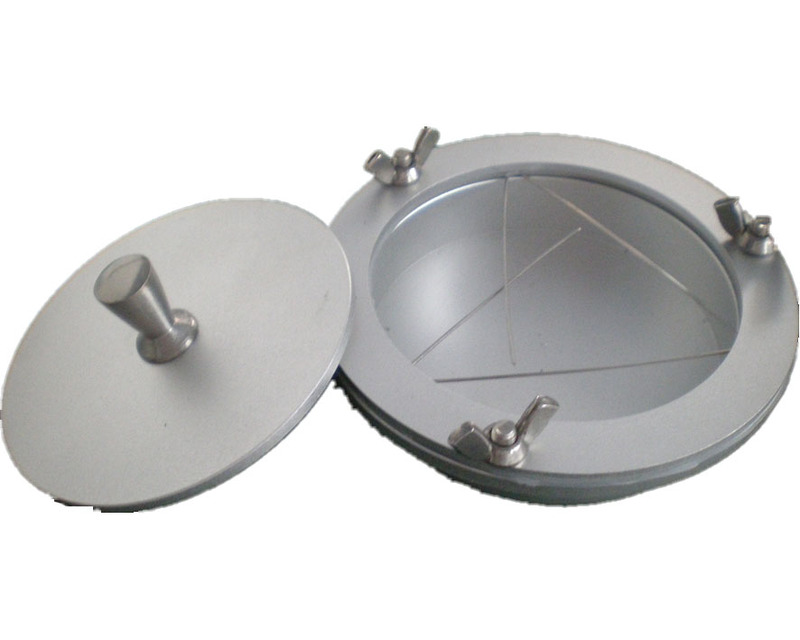 Circular metal container and an upper ring ,between which the impermeable material and the test piece are clamped.The upper ring shall be clamped to the apparatus with three hinged bolts equipped with wing nuts. Carry out the test in a atmosphere of (23±2) ℃and (50±5)% RH. An impermeable material and the test piece are clamped over the opening of a metal container,which holds 50 ml water,for the duration of the test. Water absorption of the test piece is determined by the difference in its mass before and after the test.